Flickr has long been one of our favorite photo-sharing sites, and its massive 1TB of free storage was one of the reasons we loved it. But the days of generous photo storage are gone. 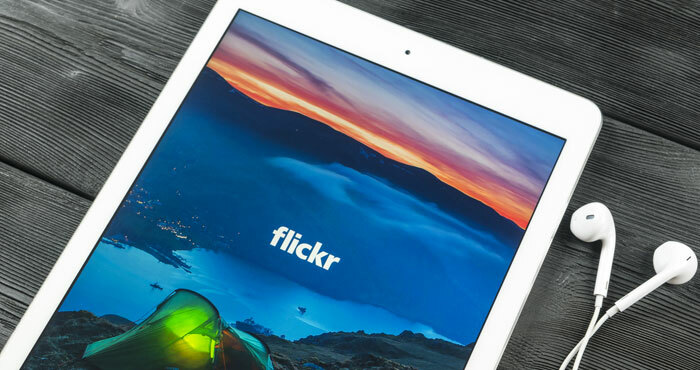 Flickr will now limit free users to just 1,000 photos. That poses a big problem for users who are making use of their terabyte of storage: they have to download their photo libraries if they didn't want them deleted. The deadline to download your photos was originally this week, but the company has pushed it back to March 12, so there's still time to save your precious pictures. This is a good thing because it's a real hassle to download your entire library of Flickr photos — and if you put it off until the last minute, you were probably struggling. Flickr's photo download system is awkward to navigate, and over the past few days, the service has been plagued by problems. Downloads were slow or simply spat out error messages telling you to try again later — a real problem when there wouldn't be a later for these photos. While you now have until March 12, if you have a free Flickr account you should start trying to download your photos as soon as possible, because you may not get another deadline extension. Before you start, be warned: Flickr struggles with downloads of more than 500 images at a time, so be sure not to grab too many images at once. This is the best way to grab your photos if you only want to save some of your collection because it lets you decide exactly what you want to download. Click any pictures you want to download. There's a "select all" option next to each date so you can select a day of photos all at once. You can also click the first photo you want to download, hold down shift, and then click the last photo you want to download to select a larger group of photos. If you have your pictures arranged in albums, it's quick and easy to download them one album at a time. If you want your photos as well as your data — like comments and photo metadata — you can request it with a single click, but Flickr warns that it could take as long as a week to compile it. This method can get more than 500 images at once, but it will still break your library into 500 image zip files, so expect to spend some time downloading. Click "Request my Flickr data"
When you click to download, however, you don't simply download your files. Instead, Flickr needs some time to gather them up and put them in a zip file. When Flickr has done that, it will send you a FlickrMail notification that your images are ready. Just open up FlickrMail (click the bell icon in the upper right of the site) to find the download link when it's ready. From there you can store your images in whatever way makes the most sense to you. Keep them on your computer's hard drive, back them up to an external drive or store them on another photo storage service. Of course, if you'd rather not bother downloading your photos, there is a workaround: pay Flickr $50 per year for Flickr Pro. It's not nearly as good of a deal as Flickr's old free plan, but if you have a lot of photos, $50 isn't a that big a price.